Selected as one of the first batches of teachers to be trained following independence, Maria has worked in schools in various districts of the country, as a teacher, teacher trainer, and school coordinator (principal). Although she is supportive of the infusion of international ‘best practice’ into Timor-Leste’s new curriculum, she wrestles with the friction between these changes and the reality of Timorese classrooms. 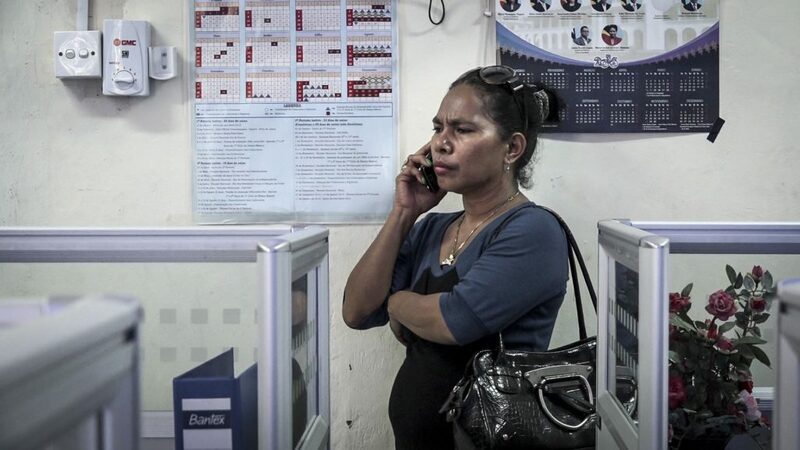 “With Timorese people, when you speak angrily, they’re scared and disciplined. If you don’t raise your voice and get mad, then automatically they don’t behave. […] That’s what’s happening in education: they [the Ministry of Education] forbid us from yelling at the kids, they say we have to speak gently and kindly to them. But then the kids won’t behave; they’re not scared of us.” In my classroom observations of Maria, she did sometimes channel a stern, imposing figure, chastising a group of third-graders for giggling during a prayer or raising her voice above the din of excited chatter. But she was also the warmest and most animated teacher I saw, using dance, songs, silly voices, and funny faces to engage her students, and constantly providing them with warm feedback: high fives, hugs, verbal praise and whole-class cheers – an approach not characteristic of the commonplace figure of the strict, dry Timorese teacher. “The foreigners [on the curriculum reform team] give us ideas about how to organize schools in Timor so that we can become advanced like schools overseas.” One of the main examples Maria points to is the decision to seat students in groups to encourage collaboration, rather than in rows facing the teacher – a physical demonstration of the intention to move from teacher-centered to child-centered learning. However, both teachers and students sometimes struggle to adapt to the new expectations of them. Here, Maria asks children to identify the differences between the Tetun and Portuguese words for ‘history’ (istória and historia), written on the blackboard during a literacy lesson. Her questions and prompts are met with silence and shy smiles, until finally, a boy answers her in a small, unsteady voice. She whisks him to the blackboard, where she has him point out the difference – “The Tetun word starts with ‘i’ and the Portuguese word starts with ‘h’.” – and leads a whole-class cheer of praise – “1, 2, 3, whoosh!” – before he scurries back to his seat, smiling. Material resources also make such pedagogical changes challenging: in Maria’s school, some classes have upwards of 60 students per class – a situation common in many urban schools. “Sweetie, the problem is that, … we order them [teachers] to implement the reform, but they don’t have the materials.” Maria knows many Ministry of Education staff personally through her time on secondment to the curriculum reform team and her ongoing involvement in teacher training. In her own school, as in many others, not enough lesson-plan manuals have been delivered and some teachers are resentful that they are expected to teach new content using unfamiliar pedagogy without these resources. I accompanied Maria on a visit to the Ministry to ask for more lesson-plan manuals. After knocking on doors, talking to secretaries and a directorate chief, and making various phone calls, Maria and I left the Ministry of Education empty-handed. During the two months we worked together, Maria invited me several times to her home. “I will cook you traditional Timorese food, mana [sister]. But,” she warned me, “my house is not in good condition.” Maria’s constant apologies for the state of her typical urban Timorese home – dilapidated and crowded, but colorful, breezy, and decorated with pot-plants and religious ornaments – belied her knowledge of the comparatively luxurious homes of her malae [foreign] colleagues and friends. One Saturday morning, I joined her at home for morning tea. She gave me a detailed tour of her cabinet of religious statues and hologram posters and served me sweet black tea and savory snacks. Family members – uncles and goddaughters, sisters and sons – raised their hand and smiled in greeting as they passed through the living room where we sat. In the background, the tinny radio of a passing vegetable seller and the rhythmic sound of hand-saws on wood filled the humid air. Communication about the curriculum reform from the Ministry of Education to teachers around the country has been problematic. The multilayered teacher-training model dilutes and distorts the reform’s tenets before they reach teachers; politicians spout mixed messages about the reform’s philosophy and goals; and newspapers report steadily on problems in education, but inaccurately on government programming. As we take a break together in the school staffroom, Maria reads newspaper articles to me out loud. “Listen to this, mana [sister]: ‘Problems in education are not yet resolved, such as [a lack of] tables, chairs, and library books, which continue to be a concern for schools around Timor-Leste. The government, through the Ministry of Education, should go and see for themselves the conditions on the ground.” She ‘tsks’ in knowing disapproval, or perhaps disappointment. Maria is caught between her enthusiastic advocacy of the curriculum reform and the challenges of her daily work under-resourced, over-crowded schools. On-the-ground teachers often feel ignored by, and cynical of, the ema boot [big people] in the Ministry. Maria’s story is about the hard task of reconciling worlds and negotiating difference in the slow work of making change to the education of children, Timor-Leste’s future. Timor-Leste is a small nation of 1.2 million in the Asia Pacific that won its independence in 2002 after centuries of colonization and occupation. For the first time, it is developing its own primary-school curriculum. The Curriculum Reform (est. 2013) aims to improve educational quality by adapting international best-practice models to the Timorese context. Through the production of new curricula and classroom materials, the reform aims to reshape Timorese primary education using child-centered pedagogy, local language, and contextualized content. 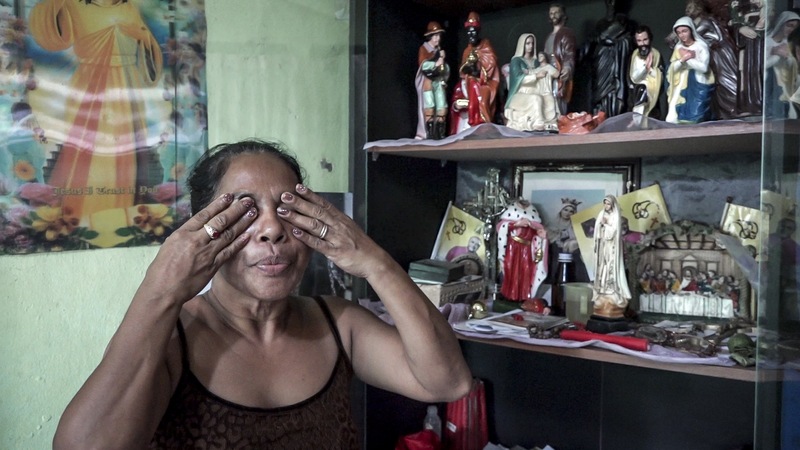 Maria, Reforming is a photo-essay portrait of one teacher’s navigation through her various roles in Timor-Leste’s education reform. A teacher since independence, with a background in community and church organizing, Maria was seconded to the Curriculum Reform for a year to help develop the new program. Since returning to school to teach, she has served as an advocate for the reform and as a liaison between the school and Ministry of Education. She has also continued her involvement in the reform as a co-host of its literacy TV show, broadcast nationally. 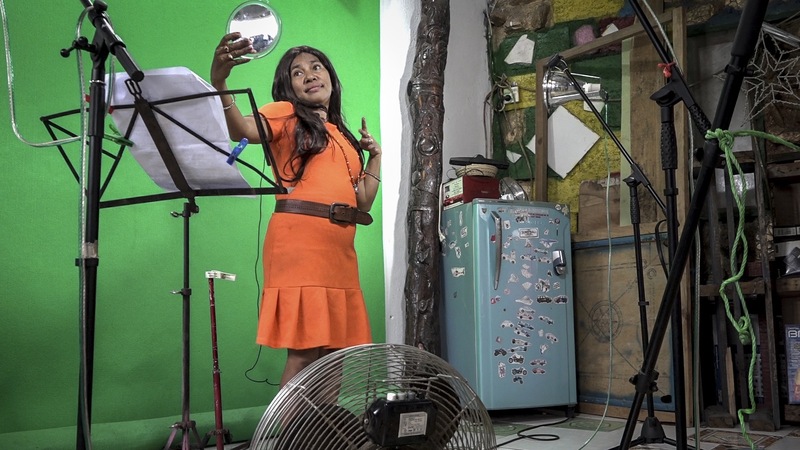 Balancing these various roles, Maria constantly moves between different material and ideological worlds, working as both an educator and entertainer, a leader and a learner, alongside fellow Timorese and foreigners. 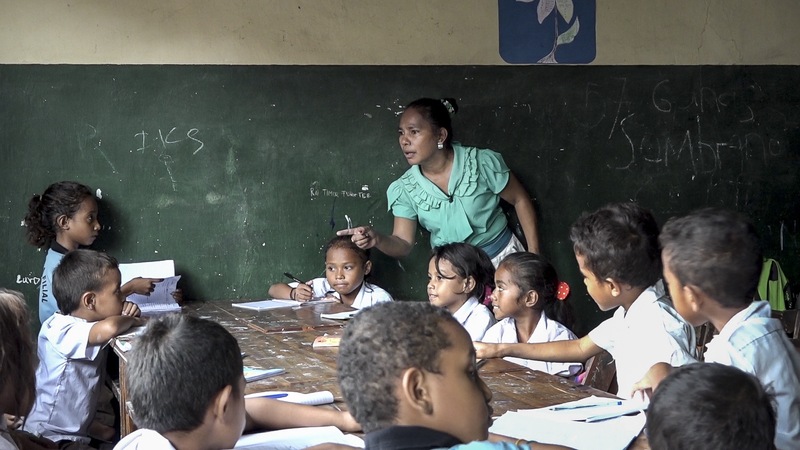 The photo-stills in this essay are taken from footage shot during an ethnographic research project into the way the reform is interacting with the diverse visions of education in Timor-Leste’s school system, which resulted in the film Scripting Change: Education reform in Timor-Leste (2017).